This farewell to one year and the welcoming in of another is an event of immense cultural importance, and one that deserves to be celebrated in the utmost style. Indeed, with a little help from the French Moments blog, you may wish to read a little more about what New Year’s Eve truly means to the French. So, when you wish to revel in the utmost New Year’s Eve magic this year, why not make Château Bouffémont your stopping-off point for a hugely memorable social gathering? How may you wish to spend the New Year with Château Bouffémont? We do, of course, present you with the opportunity to spend two nights during the festive season at the prestigious stone-built property. It is the perfect chance to enjoy a wealth of inspiring activities, ranging from arts and crafts and chocolate workshops to photography, perfume creation and table setting, in the company of those who matter most to you. However, the focus of today’s blog post is not on that festive vacation package, however enticing it unquestionably is, but instead our ability to host a party for you and your family and friends in the truly jaw-dropping surroundings of the historic Château. Any time spent amid the refined elegance, aristocratic charm and modern comforts of Château Bouffémont is pretty special. We do, in fact, present you with the opportunity to enjoy the exclusive use of the entire Château for one night, enabling you to get together with family, friends, colleagues and anyone else with whom you may wish to toast the arrival of the New Year. Do you really wish to miss the chance to reflect on the ups and downs of 2017 on such a fairytale and indeed, festive backdrop as that offered by Château Bouffémont? Basing your New Year’s Eve party with us, after all, gives you and your guests the luxury of freely exploring the entire 2,000 square metres of our opulent residence. You can take the time to marvel at the crystal chandeliers and other sophisticated decor touches that immediately mark out our property as one of France’s most impressive historic chateaus. With its five grand reception halls, nine exquisite suites and gorgeously manicured gardens, Château Bouffémont presents all of the trappings of a truly magical place to while away the New Year period without a care in the world. 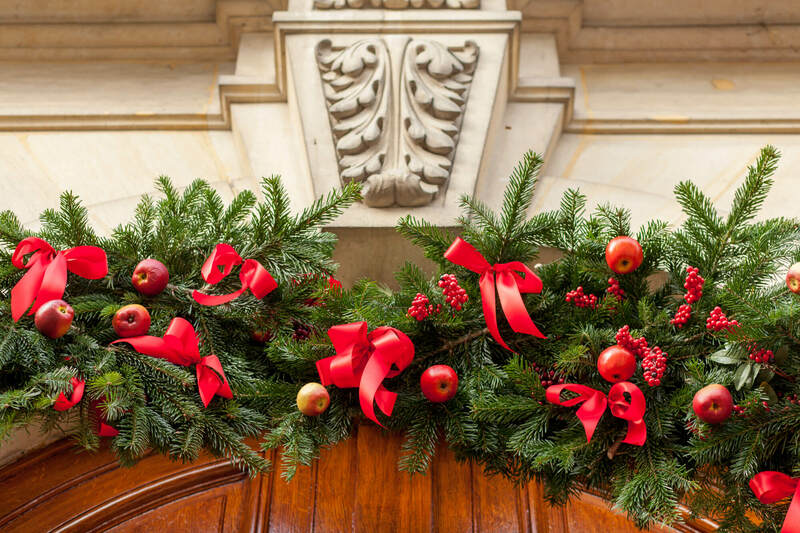 The formalities of Christmas may be over by the time of your New Year’s Eve party at Château Bouffémont, but there will still be an unmistakable holiday spirit in the air throughout your stay with us. Here at Château Bouffémont, we know that so much of what makes a New Year’s Eve celebration special is about atmosphere – but that it’s also so much easier to create that warm ambience when we provide you with all of the amenities and support necessary to make your gathering a success. This is precisely why we go to the lengths that we do to equip our exclusive venue with such luxuries as Wi-Fi Internet access, a Sonos sound system, an elevator and flatscreen televisions in all of our rooms, as well as a full-service team including a butler, housemaid and security guard. With various outdoor activities – such as horse riding, golf and tennis – even available to enable you to embrace the so-often-maligned winter air, Château Bouffémont serves up all of the elements that will help to make this New Year’s Eve one of the most magical you will have ever experienced. Why not enquire now about renting our monumental French chateau over the New Year period? In the meantime, if you plan to spend some leisure time in Paris – a mere 30 kilometres from our venue – during your stay with us, now may also be a great time to research the best places to be in the City of Lights on New Year’s Eve, courtesy of Culture Trip.